Since the first summer after we moved into the new house I’ve had an active birdfeeder. By far the most frequent sight at my feeder are cardinals. I have a soft spot from my childhood for these faithful, year-round visitors. A carolina wren is also a regular though infrequent sight — a bouncing little sphere of a bird. These days I feed primarily safflower seed, with some peanuts and mealworms mixed in along with a dose of Flaming Squirrel sauce that keeps the squirrels at bay1. Squirrels, like all mammals, find the capsaicin in the hotsauce ‘hot’ and irritating. Birds don’t even taste it.2 I’d previously fed a similarly-spiced ‘Cajun Cardinal’ blend cut with a mix of cheaper feed that also did the trick, but the millet attracted sparrows. Remarkably (to the skeptic in me) a sparrow halo substantially reduced the incidence of those pestilent bullies.  In Egyptian heiro­glyphics, a sparrow is a modifier to indicate all things bad, weak, or small. Egypt­ologists refer to it as the ‘evil bird’. Now mostly absent are the mourning doves, juncos, and starlings that were attracted by the lower-quality seed I used to mix in. Like the abominable house sparrows, these are unmissed. In April, however, I can expect to hear the obnoxiously clear, high-pitched notes of the yellow-faced white-throated sparrows who don’t seem to mind the halo or lack of millet. (Un? )fortunately they’re more often heard than seen. April is a wonderful month for birdwatching — perhaps excepting that sparrow’s song. I get a number migratory visitors around that time. 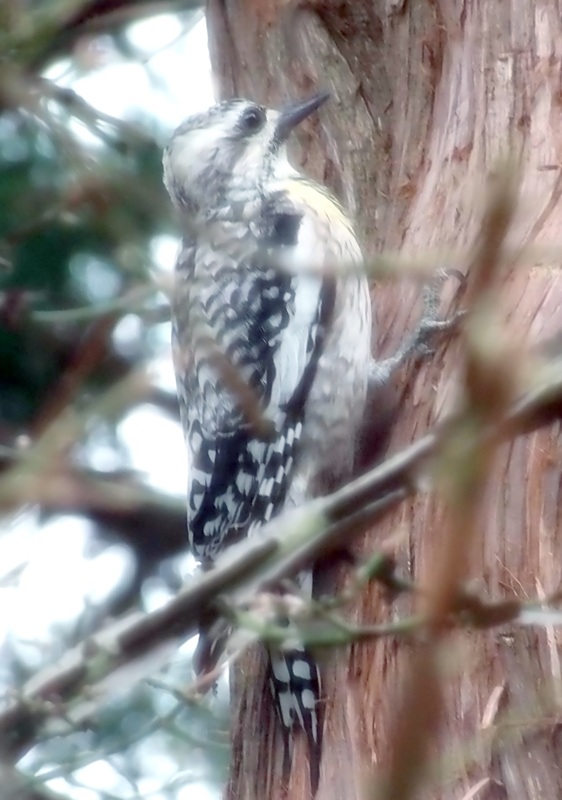 The most exciting is probably a recurring slurp3 of yellow-bellied sapsuckers. Another repeat April sighting4 was a pair of tiny ruby-crowned kinglets; I managed to snap an obscured picture of the (crownless) female. 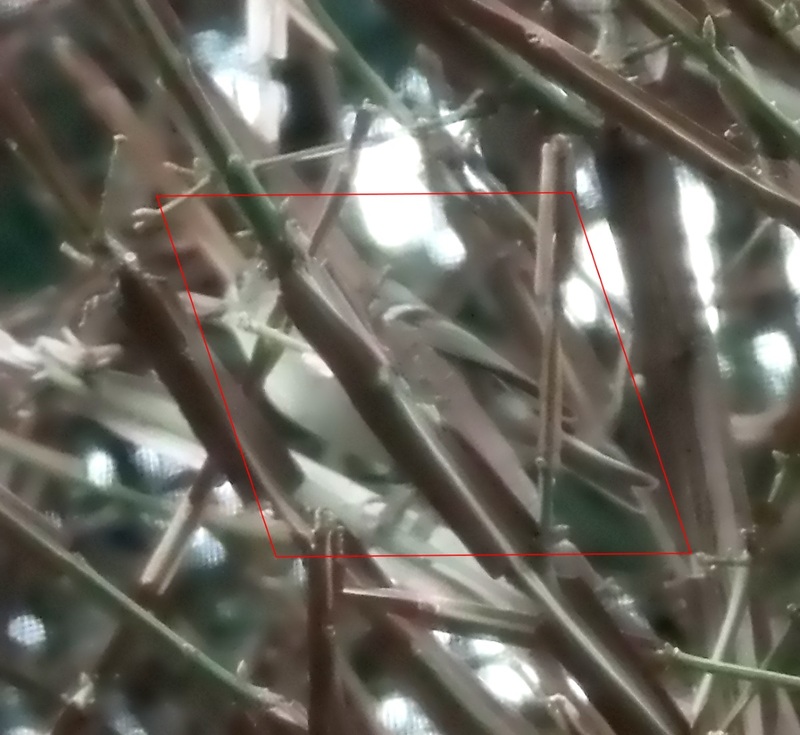 The zoom on my camera makes it especially hard to tell in the photo, but that guy is absolutely tiny, barely two inches long! 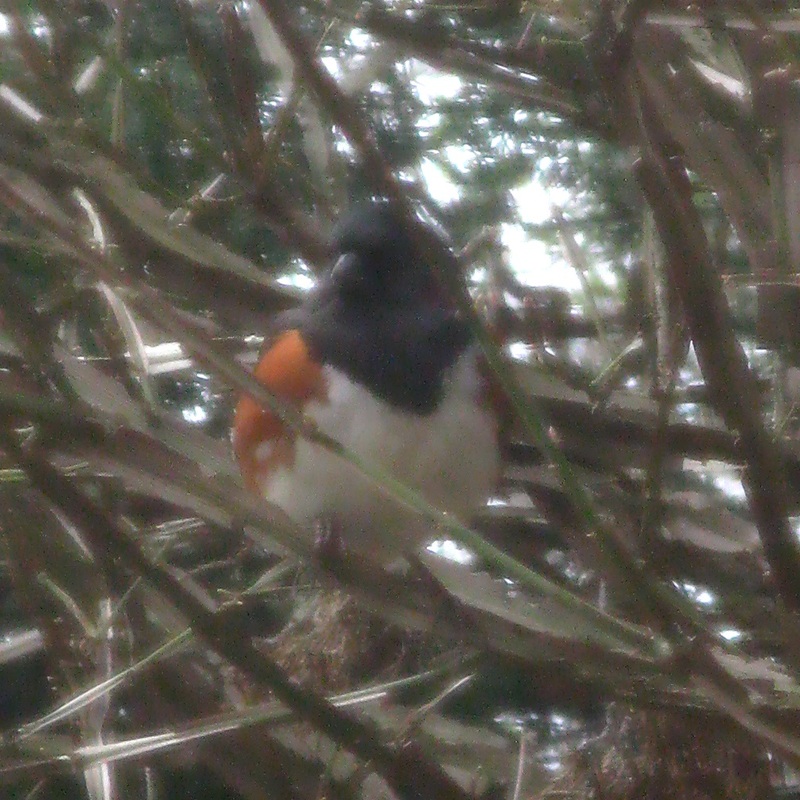 When I don’t recognize a bird at first, like this eastern towhee, I use the photos to get an identification later. Other birds have attracted my attention other ways. 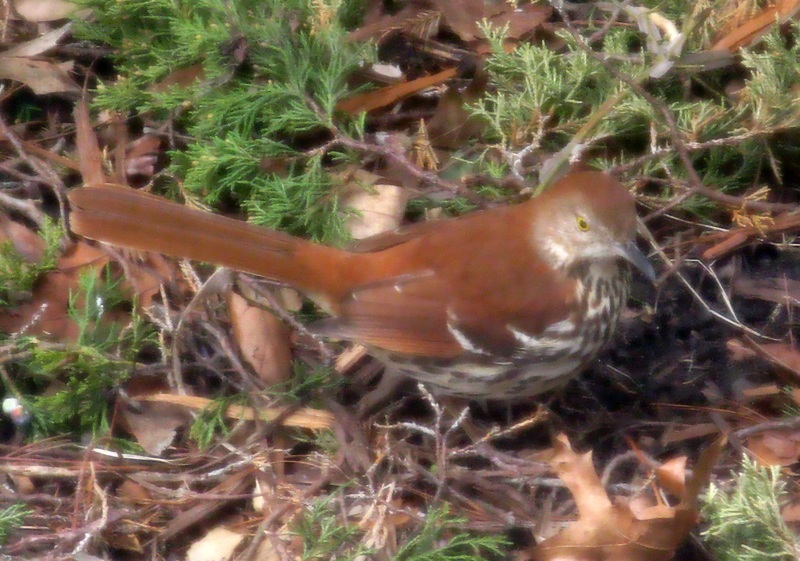 A brown thrasher was earning his name, kicking debris around as he scrounged near my feeder (much to the consternation of the juncos). 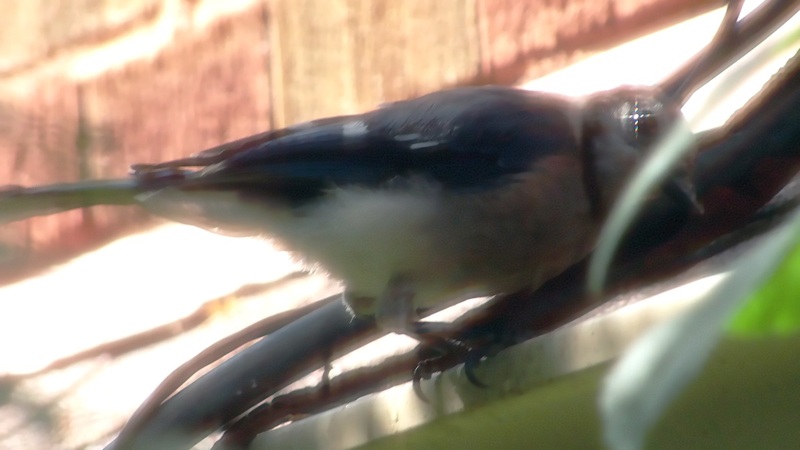 Surprisingly absent from my backyard are blue jays. The big blue guys were nearly as common as cardinals when I was growing up. So, when I spotted one taking a bath in my neighbor’s gutter, I was quick to snap a picture and got a humorous flare off his eye and the sunset. Speaking of bluebirds, the mealworms in my mix paid off at attracting an actual Eastern Bluebird — a prairie native but a rare sight these days, mostly because invasive house sparrows kill their hatchlings out of sheer brutality. A single sighting last fall, but it’s a start. Finally, my most recent new-to-me visitor was literally on my doorstep last Thanksgiving. 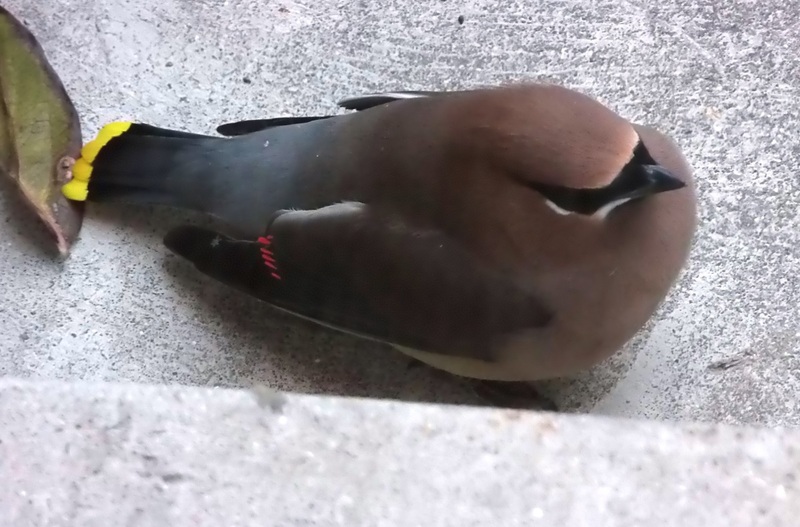 Apparently this is a thing that cedar waxwings do. 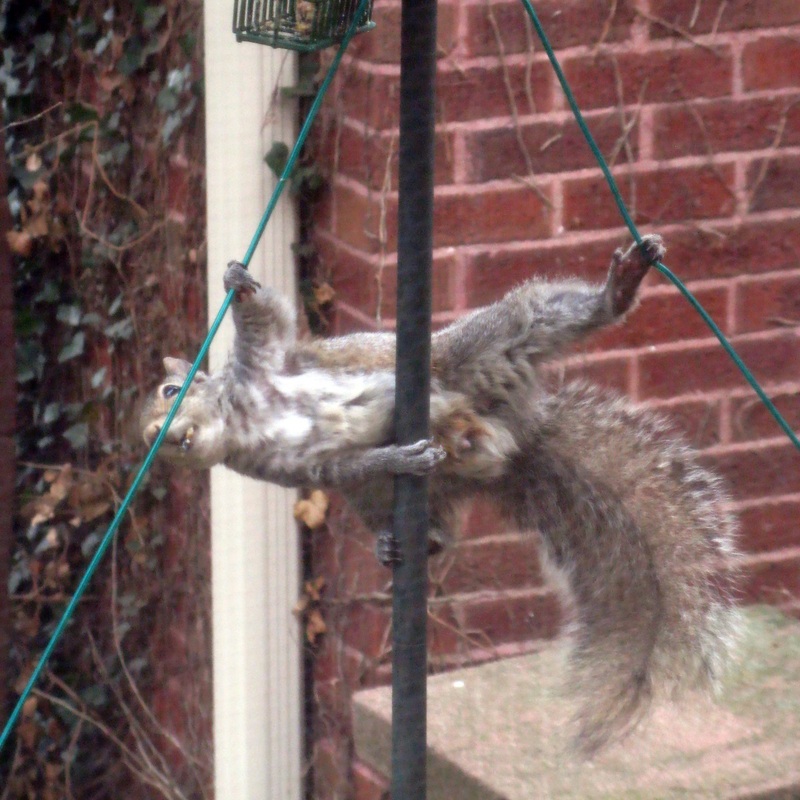 Without it, this happens, even with a squirrelproof feeder. ‘Grandpa’, the largest & smartest squirrel in my backyard, was able to defeat the latching mechanism.